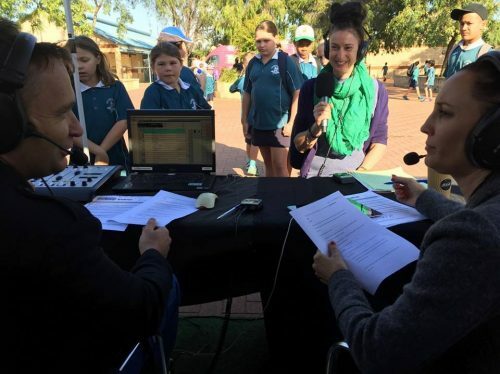 Two gigantic pieces of art called ‘One’ and ‘Two’ greeted Brekky with Kirste and Morro this morning for the Station’s last fortnightly Free Coffee Friday broadcast for term one. The theme for the artworks was inspired by the importance of reading, writing and math as the basis for primary learning. 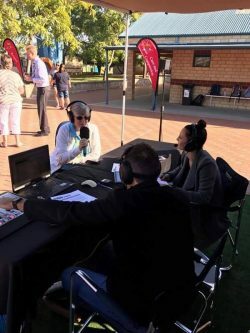 ‘One’ and ‘Two’ were chosen as to celebrate the coming together of two schools to become one campus — Rockingham Lakes Primary School and Peel Language Development School. School Principal Tim Sewell said the artwork was installed back in 2002. “Peel Language Development School work with students with some language difficulties, also language delays early in their lives. 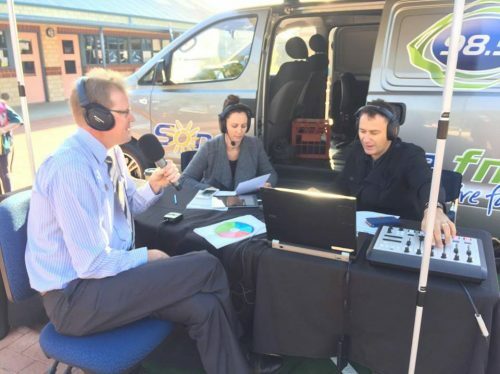 They (the school) run some intensive specialist programs to support the students (and) develop their language skills,” Mr Sewell said. 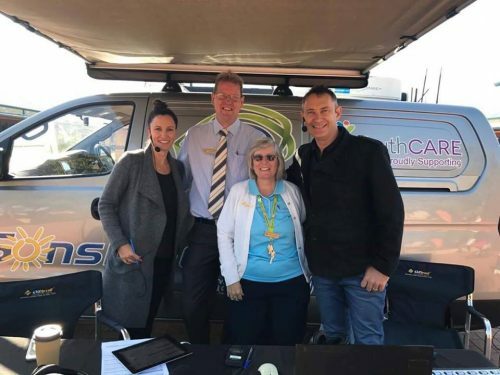 The show also caught up with YouthCARE Chaplain Deb Cunningham as well as Year 4 teacher Bronwen Genoni, who championed the school’s nine national values that include fairness, respect, responsibility and integrity. 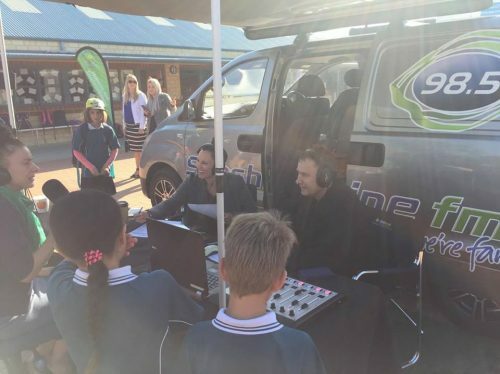 “We’re a really strong-values-focused school here,” Ms Genoni said. 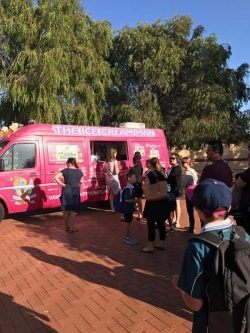 Teachers and parents indulged in free coffee and donuts thanks to 98five friend, ice cream van man, Paul. 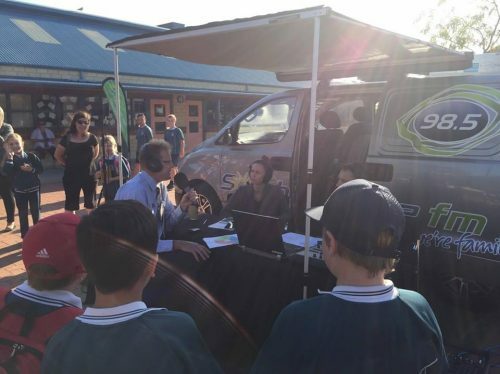 If you would like to nominate your school to take part in 98five’s Free Coffee Friday broadcasts, head to our Free Coffee Friday page for more information.